It is FINALLY vacation time! 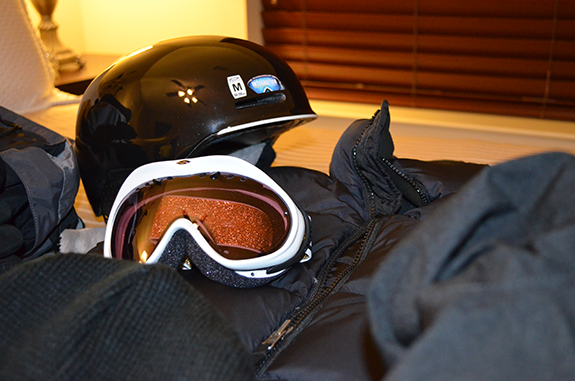 We are so ready to head off to Park City and I have to admit, I started packing a little bit early for this one. This is an annual trip for us, but I was about eight months pregnant last year, so I missed out. It is one of our favorite places and we’ll be there with some of our favorite people, it’s fair enough to say I’m just a little bit excited. We’ve got lots of fun plans for skiing, great dinners and relaxing and, surprisingly, this is one of the easiest trips to pack for because Park City is so laid-back and has such a casual, cool vibe. Last time we went, I borrowed all of my ski stuff from my sister, but this year I committed and picked up all new winter wear from base layer to boots and outerwear. I am crazy brand loyal to The North Face, when it comes to ski wear. Everything they make fits me so well and is really good quality, so I know that it’ll make it through several seasons on the slopes. For dinners and down time, I’m taking comfy pants to wear with boots, sweaters and tops to layer and long scarves to wrap and a little sparkle dress outfits up a bit at night. One of the things that makes packing even easier for me are my trusty Truffle pouches. One is for my carry-on, to keep tickets, reservation docs, and a few other things in one place. The other one I’m using for mountain essentials and it will be going from my suitcase into our ski bag, so my cell phone and wallet will be added to our lift ticket confirmations, sunscreen, sunglasses and extra gloves when we head out on our ski days. The lovely ladies at Truffle are kindly partnering with me (again!) to give one HSS Feed reader one of their Grand Clarity pouches in their brand new (and my current favorite) color, cobalt just in time for Spring travel season. Just enter below by 11:59 pm CST on Friday, March 15 and I will announce the winner on Saturday, March 16 on this post. Congrats to Carla, who won this giveaway via Rafflecopter!